Gomez Carmenza. A peculiar bicycle linked to Carlos’ character would become the instrument to mark history in a time when the craze for cycling and their idols began to write an unforgettable chapter in Colombia. For his successful portrayal in “Pharaoh”, director Julio Cesar Luna gave him the opportunity to star alongside another promising actress, Amparo Grisales, in the soap opera “Your Heart Is Mine”. From here, music would pave the way and help him make history on Colombian television. 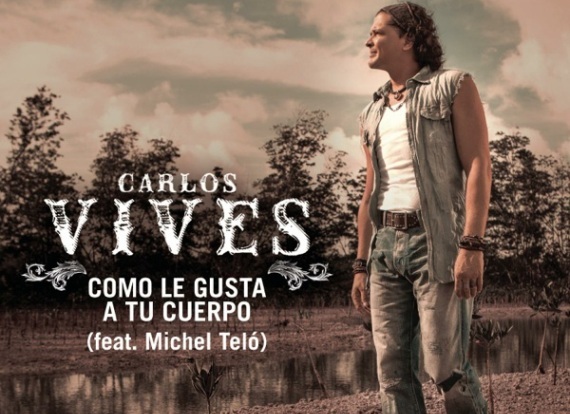 Thanks to writer David Sanchez Juliao, Carlos Vives would move on to his first leading role. A funny love story of a boxer from Cartagena, Carlos Vives played the leading role of Gallito Ramirez alongside leading actress Margarita Rosa de Francisco The success of the soap opera and his character made him one of the hottest Latin exports in television in both the US and Puerto Rico. From this moment on he directed his passion and talent to music. He recorded two ballad albums under Sony Music, and in 1987 was nominated for a Premio Lo Nuestro for “Breakthrough Artist”. At the same time, he alternated his work in both worlds. In 1991 he returned to Caracol TV to star in a musical about the life and work of the famous vallenatocomposer Rafael Escalona, ​​a role that would lead him to earn later that year the Simon Bolivar award for “Best Actor”. Carlos wowed crowds in America and Europe with the infectious beat of "Clásicos de La Provincia". He broke his own sales record (triple gold and triple platinum in 1993 and 1995) previously held by the Escalona soundtrack,and managed to reach the top of sales charts, making his mark in a musical arena dominated by local popular artists Emiliano Zuleta, Juancho Polo Valencia, Luis Enrique Martinez, and Carlos Huertas, among many others. Meanwhile, he starred alongside Venezuelan actress Rudy Rodriguez in a story of the origins of the Republican era in which he played one of the first Creole patriots in the soapopera "The Double Woman." In 1994 he undertook yet another project, and created a factory of ideas, characters, criticism, music, interviews, news, satire and humor that would impact Colombian television onc again. This time he would direct one of the first night shows in Colombian television, a show titled "La Tele". triple platinum in 1996, and was labeled by critics as the most important album in the Colombian music industry in the last 50 years. Then came "Tengo Fe", a multi-gold record in 1997.Moving forward, then came "Amor de Mi Tierra", GOLD + PLATINUM record in 1999 in the USA. In 2000, the album reached double platinum in Colombia and triple platinum in Spain (September 2000). In this album the song "Fruta Fresca" remained at #1 on Billboard Magazine – USA (1999/2000). In the body of work that followed, he introduced electric guitars, bass and drums and rock to the traditional vallenato sound, a hitherto risky and undreamt fusion, and in turn, made a claim of popular lyric All this and more led to "El Rock de mi Pueblo". The risk proved to be worthy as the new album would move on to win a Latin Grammy for "Best Contemporary Tropical Album", and was nominated for "Best Tropical Song" ("Como Tu", November 3, 2005). Carlos Vives magnifiedthe country's cultural heritage and opened the doors for a future generation of Colombians artists that have brought a new stream of local music and have become the new faces of Colombia around the world. He also gave a space to children's music by taking poems by popular author Rafael Pombo to another level. "Pombo Musical" would be awarded with a Latin Grammy in 2009 for "Best Children's Album."